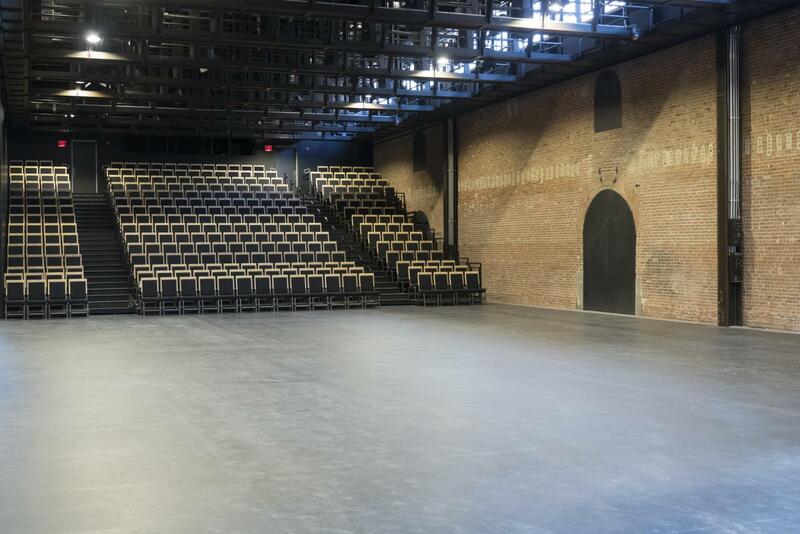 St. Ann’s Warehouse has transformed a 19thC Tobacco Warehouse into a spectacular 21stC theater, rising in its majestic location along the East River waterfront. Celebrate their new home in Brooklyn Bridge Park! For 34 years, St. Ann’s Warehouse has commissioned, produced, and presented a unique and eclectic body of innovative theater and concert presentations that meet at the intersection of theater and rock and roll. 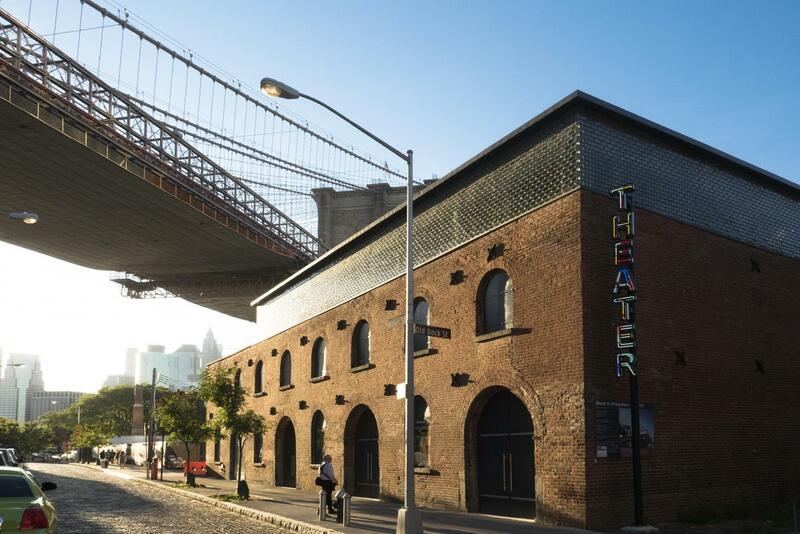 Since 2000, the organization has helped vitalize the Brooklyn Waterfront in DUMBO, where St. Ann’s Warehouse has become one of New York City’s most important and compelling live performance destinations. Through its signature multi-artist concerts and groundbreaking music and theater collaborations, St. Ann’s continues to celebrate the panoramic traditions of American and world cultures, with forays into a variety of contemporary forms, including new commissions and multi-disciplinary theatrical presentations. 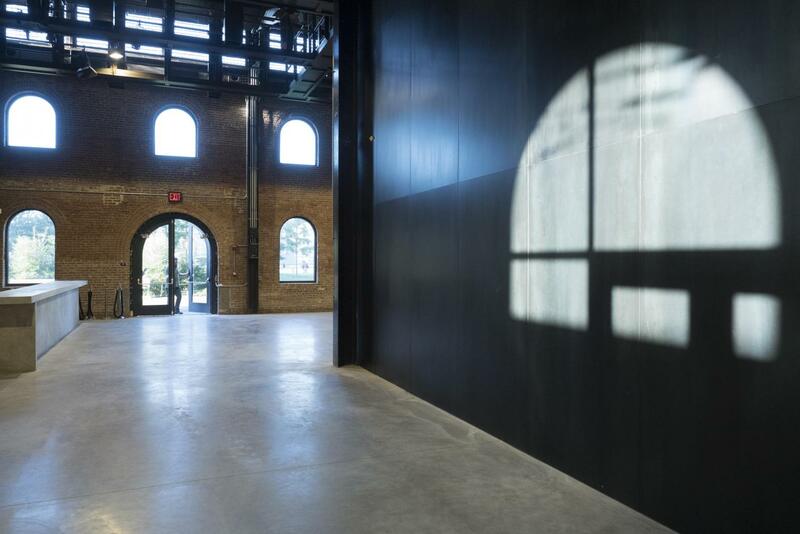 The open-air Max Family Garden forged within the existing brick walls is open to the public during normal BBP hours, providing shade in the summer and shelter from the wind in winter. If you are interested in obtaining a permit for use of the Studio at St. Ann’s Warehouse, you may apply for one by clicking here. For more information on St. Ann’s Warehouse and a complete schedule of performances, please visit their website.